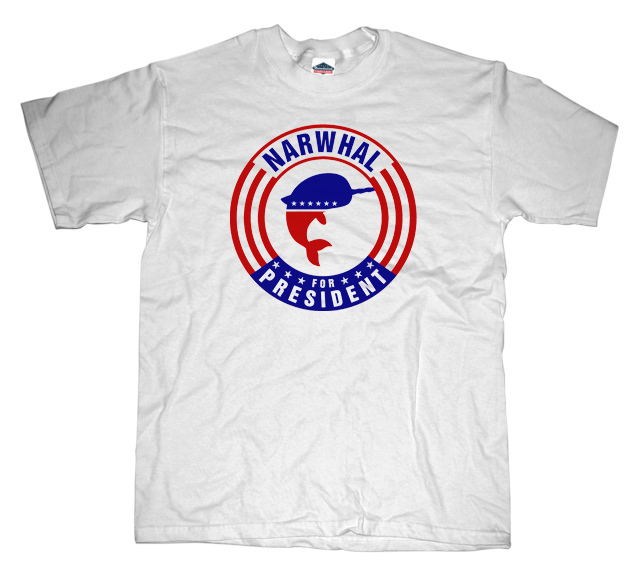 Narwhal for President - Even though he may be a sea mammel, Narwhal cares about your concerns. Unless those concerns involve taxes. In that case he doesn't care at all.